PRINCETON, N.J. - When it comes to fresh approaches to truly classic romantic sounds, all that you need is ALL THAT I AM. Slated for official release this spring, the debut CD by SANDY ZIO stands toe-to-toe with the best of today’s vocal pop and already has earned airplay from the New Jersey shore to the French Riviera. (NJ), and will tour throughout the Northeast this spring and summer. The 13 heart-felt pop songs on ALL THAT I AM are flavored with country, jazz, and blues while satisfying the true rocker. Sandy’s big voice has a delicate edge that will melt the natural romantic as she traverses the universe of Karen Carpenter, Josh Groban, Eva Cassidy, Carole King, and the orchestral side of James Taylor. Some of the best musicians in the business accompany her sweet alto vocals and memorable piano, among them longtime Billy Joel bandmates Liberty DeVitto (drums) and Richie Cannata (sax); members of the Tower of Power horns; and guitarist Jef Lee Johnson, who has played with the likes of Mariah Carey, Aretha Franklin, and Roberta Flack. Co-produced with Grammy® Award-winner Glenn Barratt (Jill Scott, Diana Ross), ALL THAT I AM approaches oft-visited motifs of love lost and found in a way that is at once warm, familiar, and truly fresh. The songs are a balanced mix of tunes by contemporary indie composers and those penned by Sandy herself, peppered with just a few well-known melodies. She delivers a lovely rendition of Stevie Wonder’s “Overjoyed” and updates the Carpenters’ “We’ve Only Just Begun” with a modern take whose urban sensibility retains the classic’s smooth familiarity. The brassy “Sister Madelene” swings with dance-floor punch, while the revealing title cut is already en route to becoming a “lite rock” radio favorite. 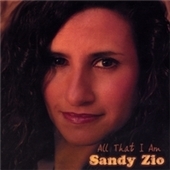 If you believe that dreams of becoming a pop music diva are restricted to the very young, this startling and beautiful debut CD “All That I Am” by Sandy Zio will change your mind. Zio, a singer/piano player with a big dream and a voice to match, makes no apologies for putting out smooth, Adult Contemporary music with a message that is so familiar and yet unique all at the same time. After 5 years of writing, recording, and producing these songs... her journey finally makes it's first stop with 13 timeless songs. 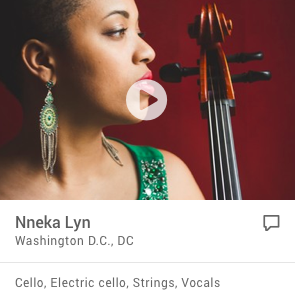 She surrounds her smooth alto voice with some of the finest musicians in the pop world. From Billy Joel's bandmates Liberty DeVitto and Richie Cannata, to the Tower of Power horns along with great studio players, indie artists, and of course her own piano playing. This CD is a seamless musical effort and a guilty pleasure to many who enjoy artists like Josh Groban and Eva Cassidy. 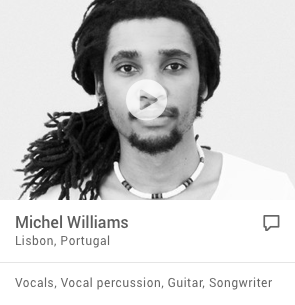 “All That I Am” includes thirteen beautiful compositions. Six and a half of them are written by Sandy Zio herself. Four others are written by six exciting up and coming indie composers, and there are two classic songs by Stevie Wonder and one made famous by The Carpenters (Roger Nichols, Paul Williams). The themes surrounding this collection are ageless and wide reaching from soul searching, to finding a special someone, to celebrating new life, but does not limit itself to the usual worn out clichés.